Oh, hey there blog. Long time no see. I kind of have a lot going on right now. The past week has been… well, let’s just say it has been insane. Imagine getting on a roller coaster with no brakes, with a track full of loop-de-loops. That’s my life. Real estate is not for the faint of heart, and our last seven days have been relentless. Thankfully, we have had several good distractions to keep us from completely losing our minds. I know you’re all dying to hear about how we’re going to be homeless with a toddler in 20 days, but in an effort to keep my sanity I’m going to just share the fun stuff today. Like that time the bestie and I got free steak. That was super fun. I stole this photo from Kristin. Oops. 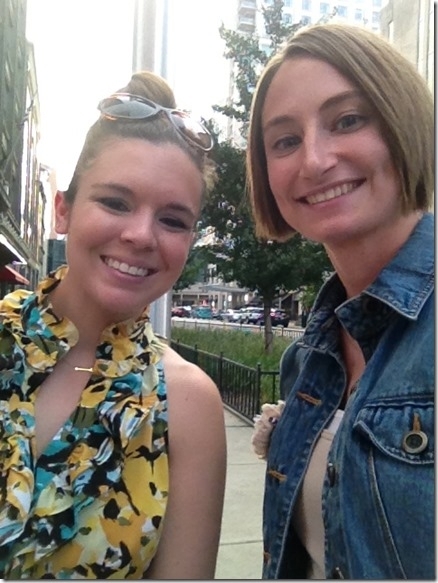 We were invited to attend the Devour Downtown Progressive Media Dinner, which featured three different Indianapolis restaurants – Weber Grill, Morton’s Steakhouse and The Capital Grille. I’m pretty sure free food and cocktails while sitting alongside some of the city’s best media personalities means we have officially made it in the blogging world. Bam. Devour Downtown runs from Aug. 18-31, and includes more than 70 restaurants. 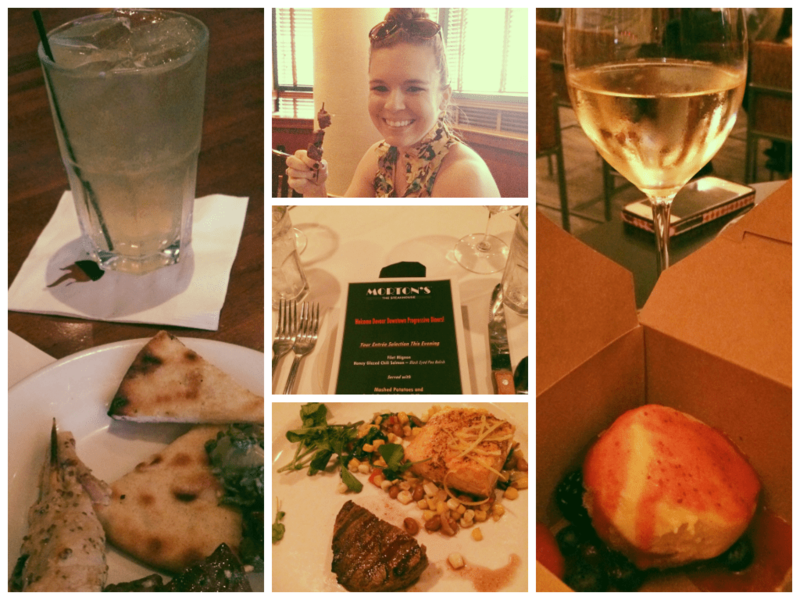 Each location features a three-course prix fixe menu for only $30! Or if you’re Weber Grill, three courses for $25 in honor of their 25th anniversary (plus $2.50 sangrias!). You’re welcome. I’m no stranger to Devour. Not only do Courtny and I participate every year (there’s a spring event, too! ), but I actually used to work on the Devour account in my past life at a PR agency. I’ve “sampled” a lot of the participating restaurants, and in my professional “media” opinion you have to try The Capital Grille’s cheesecake. 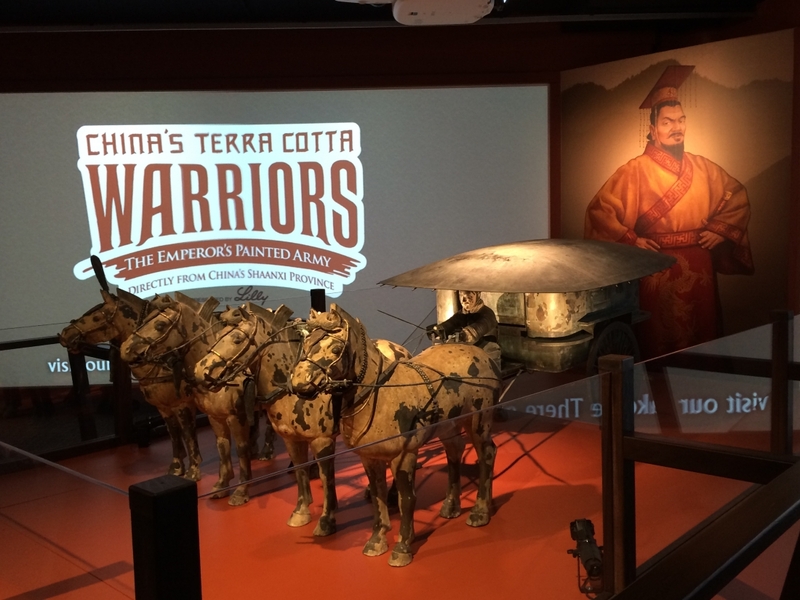 As if that wasn’t enough to highlight a crappy week, Courtny and I attended The Children’s Museum’s Terra Cotta Warriors: After Dark event sans-baby. 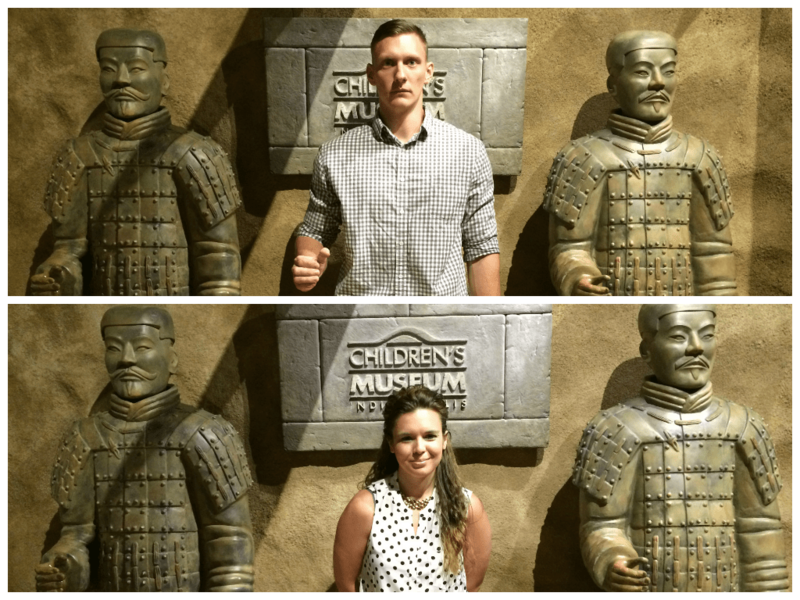 If you think that a children’s museum would be no fun when you’re 26, you would be wrong. Do we look tough enough to be warriors? 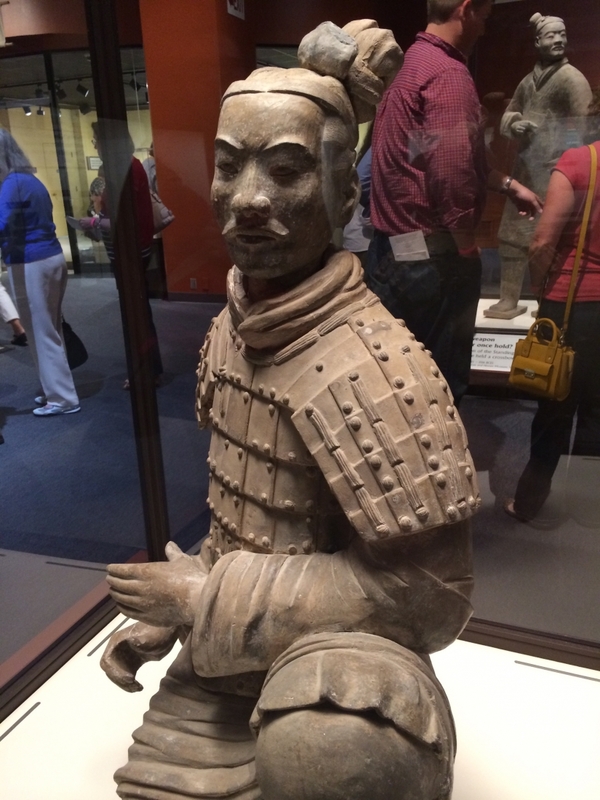 First of all, the Terra Cotta Warriors are incredible. 2,000 year old history, just staring you in the face. 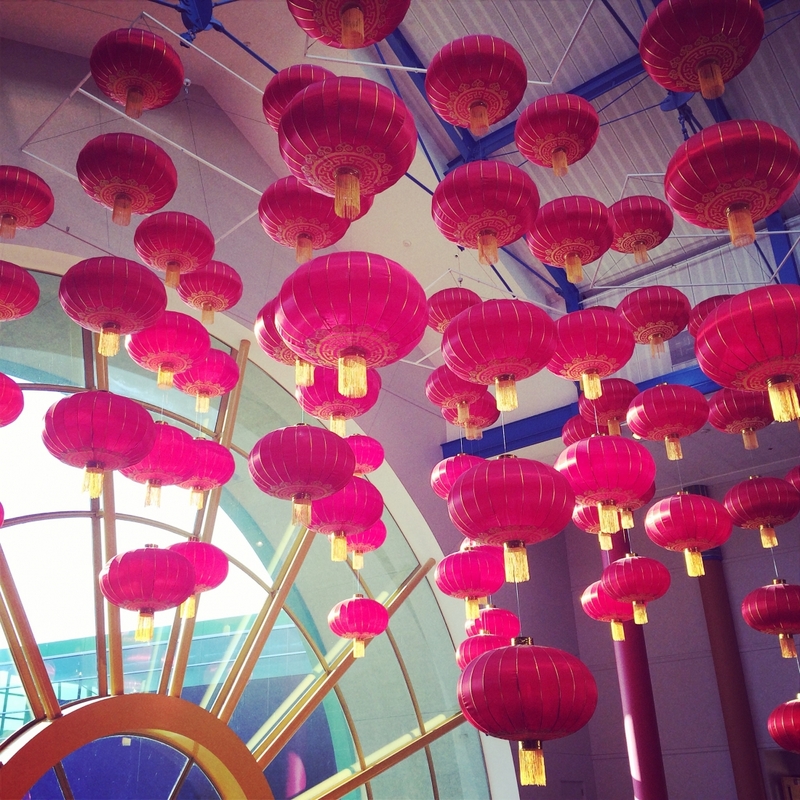 We then “flew” to China in the Take Me There: China exhibit, and experienced life like we were actually in Beijing. Plus there was Sun King beer and PF Changs. Winning. 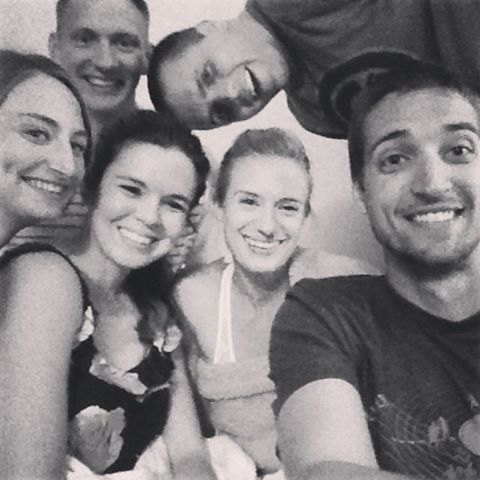 And as if two date nights in one week wasn’t enough, Saturday was the first of our soon-to-be monthly Framily Fiestas. Again, I’m a photo thief. With us moving (somewhere), and everyone else on their own real estate journeys, we decided it would be smart for us to have a monthly get-together. We simply ate, drank Kentucky Mules and played board games… and it was fantastic. Spending time with our besties is always good for the soul, and I’m so thankful the Bertolis decided to host this month! One day, when I’m not homeless, the Cottens will host a Framily Fiesta.